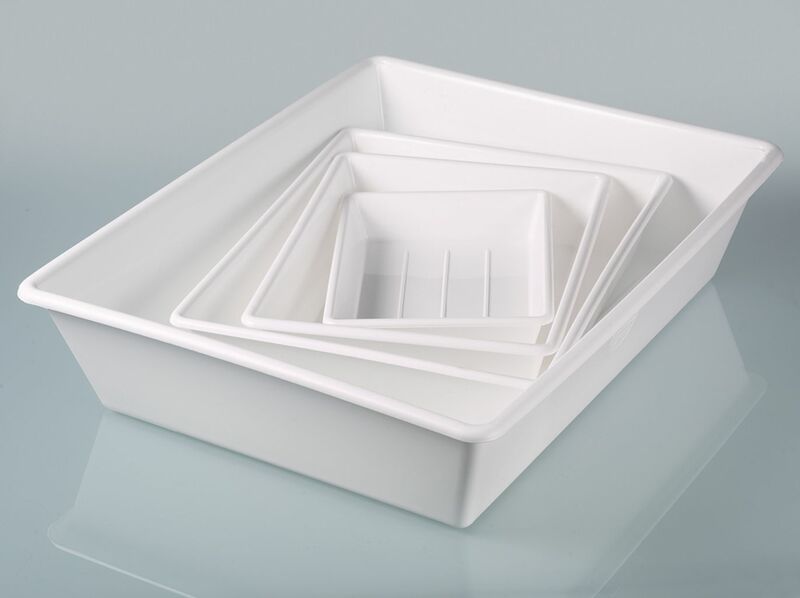 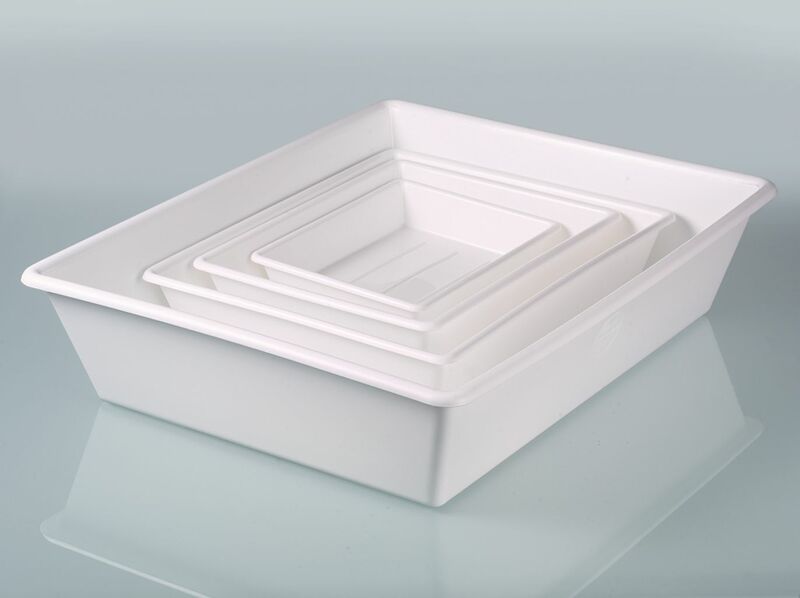 The laboratory trays are practical all-purpose trays that can be nested when empty, also durable, shatterproof and resist flexing. 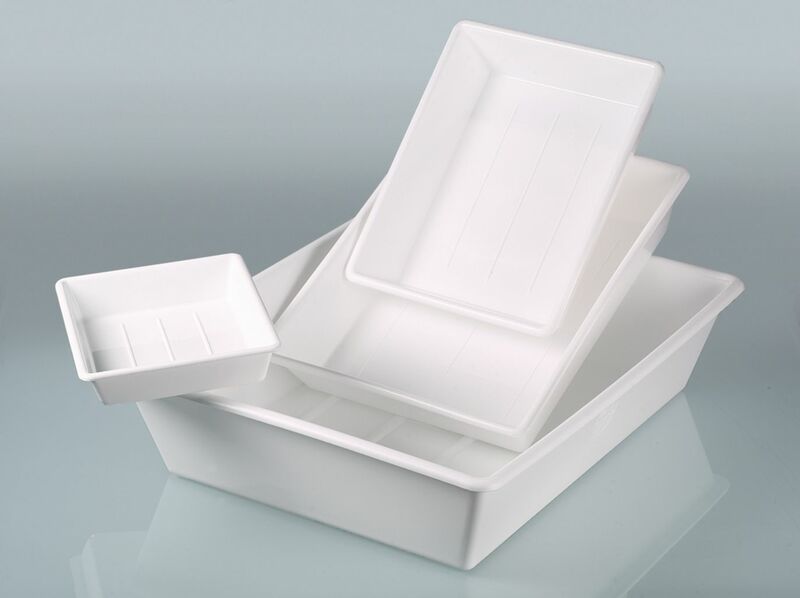 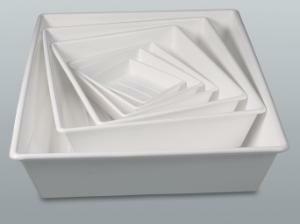 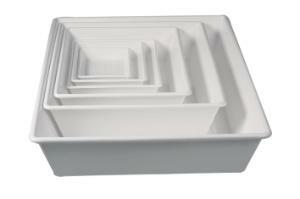 The trays have a strong, rounded rim. 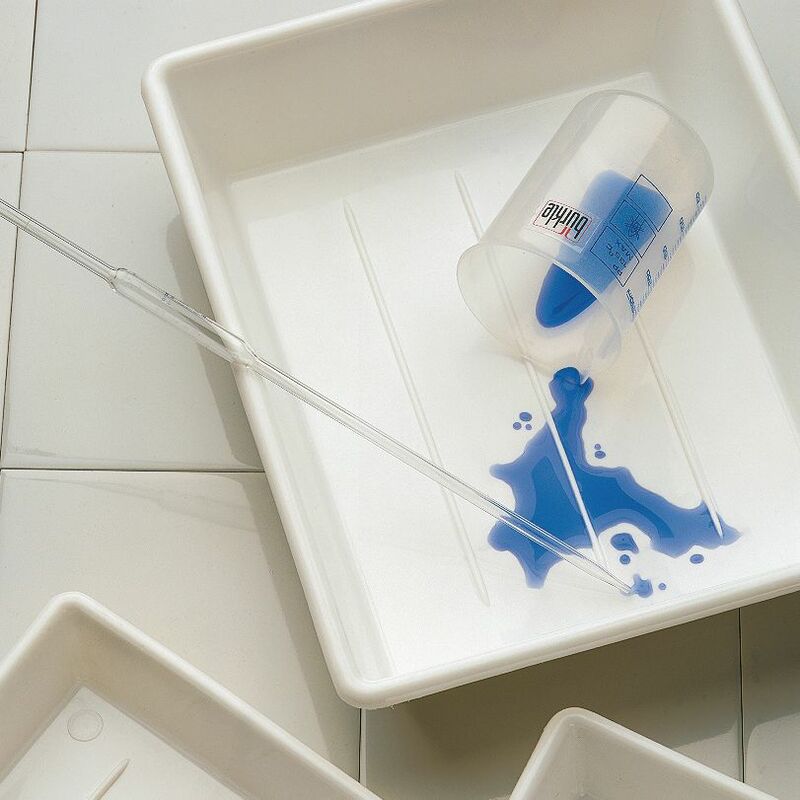 Suitable as a spill trough for environmentally dangerous, aggressive substances, for experiments, as an etching tray, as an instrument holder, a medicine tray, a photographic development basin, a goods presentation tray and a display tray for foodstuffs.